Vote for a new "Pic of the Week" every Friday on our Facebook page and you could WIN a $50 credit! Look at the photographs and pick your favorite. 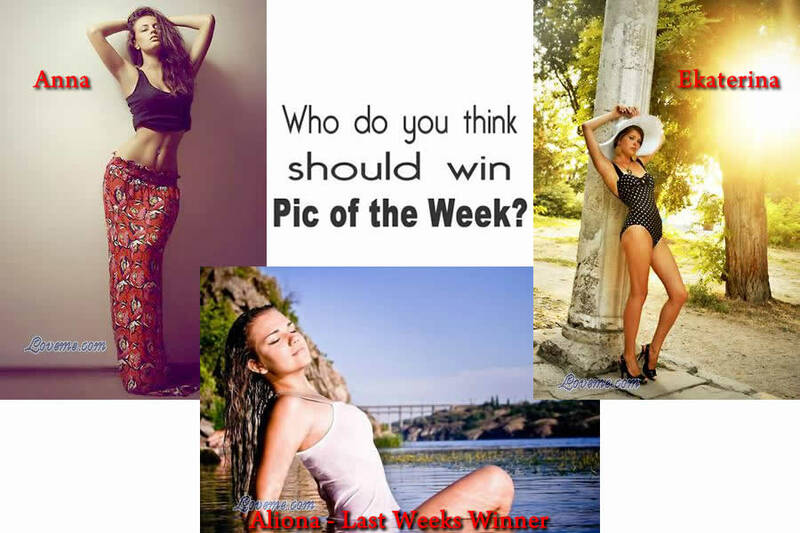 Leave a comment telling us who YOU think should win Pic of the Week. You may only share the contest post once per week to recieve an extra entry. That's it! Once you submit your vote, you will be entered to win a $50 credit to use on our website! PLUS, if you click the "share" button on our "Pic of the Week" Facebook post, you will receive a SECOND ENTRY and double your chances of winning the $50 credit. We will announce the winning pic AND the winner of the $50 credit on Thursday afternoons, and we will post a new Pic of the Week contest on Friday. IMPORTANT: If YOU are chosen as our $50 credit winner, we will send you a message on Facebook letting you know. In order to receive your credit, you must reply to our message with your email address. This way, we can add the $50 credit to the correct account. If you win the $50 credit and do not already have an account, we will help you set one up for free. The winner of the $50 credit is chosen randomly every week out of the Facebook users who voted and shared our "Pic of the Week" post on Facebook.